Learn how to use the Adobe Sign to upload a document, add form fields, and send it for e-signature. In this tutorial, learn how to use the Adobe Sign to upload a document, add form fields, and send it for e-signature. 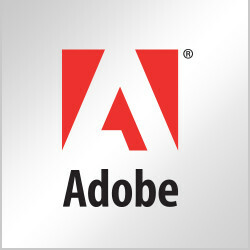 Sign up for a free 30-day Adobe Sign trial. From your home page, click either the Send tab in the main navigation bar or Get a Document Signed in the left pane under Get a Signature. Enter the email address of the person you want to sign the document. You can enter more than one email. If you need to sign the document before you send it out, check the I Need to Sign box. Give your document a name (this will also appear in the subject line of the email). You can also include a message that will appear in the email. Click Upload, navigate to the document and click Open. Click the checkbox Preview, position signatures or add form fields. This allows you to add the signature field to the document. Click Next. You are now in the drag and drop authoring environment where you can add the fields you want your signer to complete. In the right pane, drag and drop the Signature Fields, Signer Info Fields and Date Fields you want the document to contain. When finished, click Send. The signer receives an email asking them to sign the document. Once they have signed, you receive a notification under Recent Events on your home page that the form was successfully e-signed. Is it possible to change the person the sign document is being sent too? You can also send documents via the browser at cloud.acrobat.com under the Send for Signature tab. What if the person sending you the document has an older version of Acrobat?